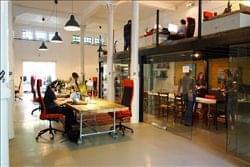 Find My Workspace lists over 95% of the serviced offices market in Amsterdam. Simply click Request Quote to check pricing for one office, or Add to Basket for multiple offices. This is the perfect location for you if you are looking for a spacious and modern office space, in a historical building. This monumental architecture known as the Klockhuys dates back to the 17th century. With 3 clocks on its façade, the historical and modern features of this centres are beautifully combined. Fully serviced offices come furnished, with high quality facilities. Located on the 26th floor you will have plenty of natural light, along with stunning views of the city. Spacious working areas promote productivity and enthusiasm. A beautiful entrance with marble floors will stun your guests. A serene garden can be used as a social space or to wind down during your breaks; and 24/7 access will ensure your work space is as agile as your business. There is a friendly support team on-site who provide a range of services including reception. This centre is one of the most spectacular buildings of the South Axis. It stands out because of its streamlined shape and the use of extensive glass, which provides you with a daylight filled, an energy efficient office and a breathtaking view over the city of Amsterdam! Infinity also has a foyer, an auditorium, a restaurant and, probably the most spectacular, six gardens within the building! The centre offer you several fully furnished office spaces, modern meeting- and conference rooms and extended reception services. Looking for a flex area? Everything is possible! This colourful property is connected to the Johan Cruijff Arena, home to Amsterdam’s victorious football team, Ajax, and host to concerts by the likes of Ed Sheeran. 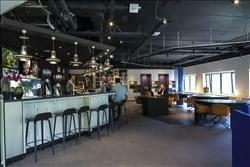 As well as offering 20,000 sq ft of co-working space there are also on-trend breakout areas where you can relax and socialise with other business minds and polished meeting rooms where you can host your clients with impressive surroundings. The building also benefits from cycle racks, 24-hour access, communal kitchen and many other amenities. There is an on-site management team which consists of a reception team and on-site maintenance and cleaning. The terms are very flexible and tailored to suit your needs when you’re an established company looking to expand or an entrepreneur working on a temporary project. This business centre is especially suitable for new and small scale enterprises. Offering different kinds of spaces and facilities in a dynamic environment. Features include flexibility, personal contact, full service and easy accessibility. Offered are short term leases including free-parking and glass-fibre internet. Full service lease includes furniture, IT (voice and data) services, air-conditioning and under-soil heating. Virtual Offices and flexible workstations are also available. 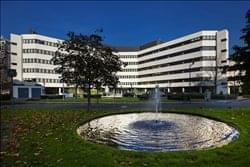 This business centre offers you a perfect opportunity to locate your company in a new and promising part of Amsterdam. This office facility has a solution for any entrepreneur: office space, workstations, memberships, meeting rooms and spaces suitable for events. Seating areas are scattered all over, providing ideal spots to hold an informal consultation or grab a cup of coffee and a newspaper. The timeless elegance of the meeting rooms ensures a suitable space for any company. The homely and welcoming Café Deli is open all day for your added convenience. Plus, with 24 hour access and security, you can work through late hours with peace of mind; ideal for those with international clients across different time zones! 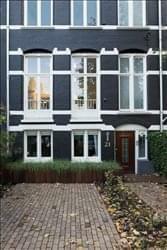 This new location is in one of the most exciting neighbourhoods in Amsterdam – “Bos en Lommer“ (BoLo). It is one of the up and coming districts in Amsterdam and well known and loved by young creatives and entrepreneurs for its international atmosphere. The co-working space is going to include alternative meeting spaces as well as an activity areas that keeps you inspired and creative. Through the open atmosphere you have access to a network of young professionals. Join this centre in Amsterdam and be part of the community. This business centre is located on the third floor of the building. It is on Gustav Mahler’s Square is part of the Mahler 4 complex at the Zuidas in Amsterdam. The centre is equipped with quality staff, a reception area, meeting and conference rooms, cafe and pantry, and all the office equipment necessary to run your office efficiently. At this centre, you can also benefit from 24 hour access and security, allowing your business to operate at any time of day. This site is perfect for businesses anticipating international relations, and would therefore have to make international calls at late hours. This centre will provide you with everything you need to be inspired and to start working. Offering a range of different offices in different sizes, these offices are all decorated with design inspired by tribes throughout the world. Here, you can work in comfort with ergonomic furniture, controllable air conditioning, adjustable lighting and secure access. The on-site management team are there to greet your guests and offer front of line support to ensure the smooth running of your business. Business lounge and meeting rooms at your disposal top off this work efficient and hassle-free space. This stunning centre is also available on flexible terms! This striking center offers businesses the best of both worlds – it’s located between Amstelveen and de Zuidas, a busy financial district, but also in a small, exclusive business park. The highly visible center features spacious offices in pleasant surroundings. This high-class location is inspired by a nomadic tribe, whose fascinating traditions and artifacts will be a constant source of inspiration while you visit. Here, each office is fully equipped with high speed internet and up to date IT telecoms. Terms are flexible you can rent an office for 2 months or 12 months, whether its just you or a team of 100 you needs will be catered for! The space is accessible 24/7, so you can work through any hour that is best for you! There is administrative support included to help your business run as smoothly as possible. Furthermore, you can benefit from telephone answering services for maximum efficiency. This modern office facility can provide fully furnished desk space from 1 to 20 workstations. Features of this facility include unlimited access to private work areas, printing, fax, photocopying and free Internet access. 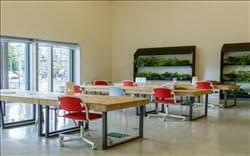 This facility offers also meeting rooms and flexible workstations. This facility distinguishes itself by making flexible contracts tailored to its users. The meeting rooms can be rented per session and the provider can also provide catering if required. This business centre is located in the Financial Mile of Amsterdam and is one of the most spectacular, architectural buildings of the South Axis, recognizable because of its charming and transparent exterior. This state of the art office building suits modern companies who are looking for some peace and quiet in this bustling city. A beautiful entrance with marble floors will stun your guests. The exterior and interior of the building meets the high standards of the South Axis. Spacious office spaces, various co-working possibilities, meeting rooms, social areas and extended reception services are all available to use at your disposal. This building in Gustav Mahler’s Square was designed by South American architect Rafael Viñoly, this is his first realized design in Europe. At a stunning 95 meters high, the office tower is one of the tallest buildings on the Zuidas- a building that would give your business a strategic presence with a prestigious address. Featuring open plan office space with an abundance of natural light, this modern space is the perfect fit for those looking for flexible offices. The centre also features quality services that will help your business thrive under excellent conditions, such as IT support for the shared internet provided on-site. This centre provides inspiring workplaces, starting from Network Access memberships, virtual offices, meeting rooms and up to flexible workplaces throughout a local, national and global network. Comfort and efficiency is the focus of this centre. They supply 5-star material finishing, extremely catchy and performance IT facilities, amenities which simplify your life such as dry-cleaning, shoe repair service, high level fitness, Good Food restaurant and a great library lounge to name a few. This location offers world-class facilities that will make your life and business easier. It offers ultra high speed Internet so your work will be more efficient. Find inspiration in the Library lounge, with up to 1Gb Internet. You’ll have access to Follow-Me printing, scanning, faxing and copying, so when you forgot to print your documents, you can get them at the next location in the network that you’re visiting. Come in, have a coffee, open your laptop and start working! Are you looking for an inspiring office space for your business? A fully equipped office where you can take? This business center has Several offices for rent. Rooms are bright and modern have Internet access. There is a common room located in the middle of the business center. This space is equipped with a seating area and a pantry. Make use of the conference hall or gym at lunch in the canteen. You have the possibility to exchange experiences and knowledge with other entrepreneurs. This site is accessible 24/7, allowing you to work through any hour your desire; the most flexible solution for forward-thinking businesses! This space is situated in an excellent office location in the Arena Business Park. The modern office building with its striking look is well known and has endless possibilities. In addition to fully equipped office space based on flexible contracts you can also opt for the Mtoo product, which allows you to rent office space which you can furnish yourself. Do you need a conference room or an occasional flex space? 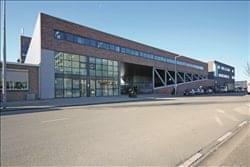 No problem, with its own meeting rooms, underground parking garage, one of the the fastest internet connections in the South East and various solutions for co working, it is the most complete office building in Arena Business Park! Mid-2016 the centre was also renovated with a brand new restaurant, a coffee bar, a dojo and gym. This complex is located in the heart of South East Amsterdam’s commercial district, overlooking the Arena sports and cultural stadium. This is a modern building with secure underground parking. The centre also offers a lounge area and a videoconferencing studio. This centre offers fully serviced office space on flexible terms. The professional service team is ready to help you execute your entire facility management. From welcoming guests, taking care of your mail, answering your telephone calls and so much more. With a fully-serviced office, you only need to bring your laptop. We take care of the rest, so you can do what you do best! This space is accessible 24/7 with 24-hour security so you can work through late hours with peace of mind. In addition, the centre will provide your business administrative/IT support to help your operations throughout your occupancy. This is a brand-new business centre that offers the latest in technology and support services, including a videoconferencing studio, a lounge area and a cybercafé. At this centre, accessible 24/7, you will be supported by administrative support so that any of your queries can be answered promptly, and enhancing the efficiency of your flourishing business. Moreover, there is also IT support and reception services. The secretarial team will handle your telephone answering, and there are also telecoms within the centre for effective communication and security. This workspace solution is in a business park setting, providing ample opportunities for your company to network and grow. This office facility offers solutions for any entrepreneur: office space, workstations, memberships, meeting rooms and spaces suitable for events. The glass façade and beautiful wooden door provide the premises with a stylish, modern entrance. The atrium creates a sense of space and light throughout the building. Seating areas are scattered all over, providing ideal spots to hold an informal consultation or grab a cup of coffee and a newspaper. The timeless elegance of the meeting rooms ensures a suitable space for any company. The homey and welcoming Café Deli is open all day for breakfast, lunch or just a tasty cappuccino. This is a fully renovated, state-of-the-art office complex, which provides high-specification offices with a full range of services. Facilities include a business lounge, a cybercafé, mind gym and relaxation room. This 16-storey modern building offers six training rooms, 14 meeting rooms, five boardrooms and 140 parking spaces. At this accommodating centre, there is an abundance of support services, such as administrative support, conference facilities, IT support, reception services and telephone answering. This space’s impressive interior and sprawling vistas are sure to leave a lasting impression on any visitor. This recently renovated, narrow building on top of a former dockland crane track has big windows, letting light flood into the comfortable office space and meeting rooms. Located over three floors, the business centre includes stunning views over the bay and the yachts in Amsterdam Marina. The offices are furnished with modern, ergonomic office furniture, secure business-grade internet, Wifi, phone handsets and lines and you have access to a printer, scanner and photocopier. 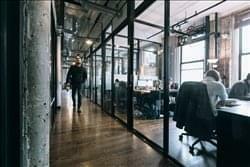 There is an on-site cleaner and staffed reception team who will take care of the building maintenance and tedious admin duties so you can focus on your business. By becoming part of this community, you also have access to special discounts on leading brands. This bright, contemporary centre is a fully furnished modern office building that offers both stylish interiors and a diverse range of professional facilities. Providing spacious meeting rooms so that you can collaborate on projects within a relaxing atmosphere, as well as a reception area, lavish private offices and an impressive on-site fusion of retail, leisure, residential outlets. White Point Business Centre is an ideal setting with a dynamic environment for corporate operations. You can benefit from an abundance of natural light due to its extensive glass front, enhancing the focus and efficiency of daily operations. This office facility has a solution for any entrepreneur: office space, workstations, memberships, meeting rooms and spaces suitable for events. Seating areas are scattered all over, providing ideal spots to hold an informal consultation or grab a cup of coffee and a newspaper. The timeless elegance of the meeting rooms ensures a suitable space for any company. The homely and welcoming Café Deli is open all day for breakfast, lunch or just a tasty cappuccino. This is the perfect workspace solution for forward-thinking companies that desire a beautiful space in which to have their business flourish! This business centre offers virtual office-space options for aspiring tenants who wish to expand their business remotely. Here, it is possible to make use of numerous useful services which are ideal for new start-up businesses. These include; tax returns & payroll services, mail forwarding and a prestigious business address. In addition, the package includes access to on-site meeting rooms which are fully equipped and mark a fantastic opportunity for entertaining client visits or for general networking purposes. With these useful services at your disposal, tenants can easily expand their business at affordable rates. With a surface area of over 2,000m² this center created over 120 workstations, 10 meeting rooms of various sizes and inspiring flex and co-working spaces in different areas of the building. While wandering through the corridors, enjoying a delicious cup of coffee, you could almost feel the sports history made in Amsterdam 1928. But what really sets this center apart are the people working inside this location. 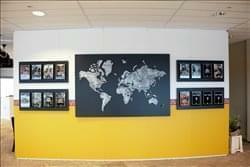 Everyday they strive to provide the best work & meeting solutions in an inspirational environment. Not by providing a mere place to work, with just a desk or chair, but by giving you an opportunity to meet, connect and engage with others as well. So as your solutions provider they aim to be as flexible as you are. All they do is making sure you can concentrate on the things that matter most, whilst they take care of the rest. This fantastic property is a renovated stables that combines charming tradition with contemporary interiors. It is composed by a large open space with a mezzanine that accommodates. In the second area, there is a lounge; a stunning space in which people can work and collaborate within a space that encourages productivity. Here, there are also pop-up restaurant events, networking events, lunches and more. The building is tall, with a pillar structure and a variety of rooms for relaxing and convening meetings. Your business can also benefit from 24-hour security, allowing you to work with peace of mind. An ambitious business needs a premium business location to thrive. This is a location where service, architecture and facilities are seamlessly coordinated. The building is situated on the thriving business park Amsterdam South Axis, home to more than 400 companies, mainly leading multinationals. This state-of-the-art business center is one of the most prominent buildings on the Amsterdam Zuidas business district. This building suits all your needs and wishes. Located right next to Amsterdam Central Station, this centre offers you a magical view over the city centre and the IJ river. This is the perfect location for you if you are looking for a place to work in an inspiring environment in the heart of our capital. An office building of the highest quality, with a beautiful lobby with reception desk, various flexible work stations and the possibility to receive guests for an informal cup of coffee, an extensive restaurant with a great view, several meeting facilities with the same inspirational vistas, spacious offices with a lot of glass and a parking garage which provides immediate access to the building. This excellent business centre offers a range of office units, including private offices which can accommodate up to 10 persons. Offices come fully furnished and ready to use with office tables, chairs and plug sockets, there is plenty of room to style the space however you like. The community consist of a range of freelancers and start-up companies, giving you plenty of chance to share ideas and grow together. You will also benefit from access to a kitchen with complimentary beverages, meeting room with audio facilities and a sunny stone garden. The monthly rental fee includes your utilities, internet access and a cleaning service. This beautifully designed centre is inspired by the Suri tribe and unique, traditional artifacts are spread throughout the building. You can rent a workplace, an office, meeting room or a virtual office for your startup business or large corporate business. Each workspace is fully equipped with high-speed Internet and all the IT and telecoms infrastructure you need to get the most from coworking. Your business can surely benefit from the high quality services provided here that will enable businesses of any background to flourish under the best conditions. The centre has reception services that will greet your clients with the utmost professionalism and courtesy. This building is an absolute icon in the center of the business district of Amsterdam Sloterdijk. Inspired by the painting of Mondriaan ‘Victory Boogie Woogie’, the Tower is one of Amsterdam’s highest buildings. Which explains the amazing view from your office! 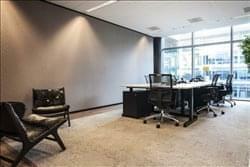 If you are looking for an office space in Amsterdam Sloterdijk, this centre is an excellent choice! The business center offers you fully service office space as well as classic square meters, but also flex areas, modern meeting- and conference rooms and extended reception services. The Service Team is happy to help you with your facility management so you can focus on what is most important, your own business! This business centre combines excellent interior facilities with the very best in on-site management and staff support teams, meaning that clients can benefit from an ideal working environment highly conducive to productivity and business growth. The site’s available facilities include spacious meeting rooms, high speed internet connections, dedicated internal telephone lines, fully furnished serviced office suites and conference facilities across all occupancy packages and available to all tenants. The building’s workspaces are available on flexible terms and feature state of the art equipment and luxurious furnishings. Set within a modern building with an impressive exterior, this centre which opens in October is well suited to adapt to individual business requirements, incorporating various office-spaces of different sizes all at affordable prices. Here, flexibility is essential and this business centre reflects that. 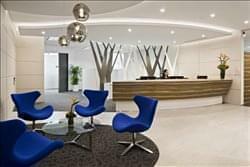 There are numerous professional amenities to be utilised including; fully equipped meeting rooms, an on-site barista, a luxurious business lounge and a professional reception desk. The reception are able to handle administrative duties and greet clients with a friendly face. In addition, the building is accessible 24-hours a day, allowing for employees to work at times that best suit their responsibilities. Parking is also available on-site, for those who prefer to drive to work than commute. Offering office spaces that start from 15 metres squared, this building offers modern and contemporary work spaces in a classic building. With high ceilings and large windows, you will have a lovely view of the park beside the centre and plenty of natural light. The centre offers air conditioning to keep your spaces feeling comfortable and allow for productivity. Work stations also benefit from access to meeting rooms, high speed fibre optic internet with excellent connectivity. The interior is bright and modern with all the facilities you need during your working day. The lease terms start from 6 months and offer you affordable, professional spaces in an excellent area of the city. One of the best addresses in Amsterdam, this centre offers 25 inside parking spaces, 24-hour CCTV monitoring, a videoconferencing studio, disabled facilities and a lounge area. This centre, based in a convenient South Amsterdam location, offers a wealth of both coworking and private office space. 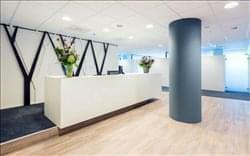 With a design that encapsulates the unique atmosphere of Amsterdam, and facilities that go above and beyond your normal work space, it is the perfect environment to grow your business or brand. Boasting several living-room styled common spaces which aim to promote productivity and creativity, this centre can suit teams of any size. The centre offers month to month flexibility and amenities such as unlimited coffee and bicycle storage. Other amenities include high speed internet, soundproofed phone booths, and onsite staff throughout the workweek. This centre provides your office with everything you need to be inspired and to start working. Choose from a multitude of different offices, in different sizes. The offices are inspiring, professional and they have all the features and equipment you need. Each office has ergonomic furniture, controllable air conditioning, adjustable lighting and secure access. The on-site service team will welcome your visitors and they will provide a front line support to ensure the smooth running of your business. All offices and all common areas are cleaned every day, so you can focus on your business! All tenants have unlimited access to the lounges, cafés, coffee bars, restaurants, pop-up stores, fitness areas, offices and meeting rooms within the building. This brand new business centre will open in January 2019. 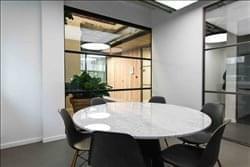 Found in a modern and stylish building, the interior of this complex matches the interior with excellent furnishings, beautifully designed workspaces and highly functional offices. Meeting rooms will be readily available for your use, and the simple use of an app makes everything simple. Your working day will go as smoothly as possible with the help of on-site management who can provide administrative support, reception services, mail handling and telephone answering. You will also have access to printing and copying facilities, high speed reliable internet and communal areas including a lounge space. You can size up or down as required by your business progression, so you’re not paying for more space than you need. To make things even better, all your fees are all-inclusive so you’re not caught out by hidden fees at the end of the month. Located in Amstel Business Park, these offices are spread across 6 floors, offering 4,500 square metres of space. The size of the offices vary, ranging from 15 for 1,300 square metres and come fully furnished and ready to use. With high speed fibre optic internet you are guaranteed to stay connected throughout the working day and work at an efficient pace. The building is modern, with LED lighting and lifts for easy access to each floor. The spaces are bright and spacious, to create a comfortable environment where you can work professionally. The terms offer an affordable space in a fast-developing area which will put you and your business in the spotlight of the industry. Located in an award-winning building, this business centre offers a wide range of facilities including 24-hour CCTV monitoring, secure underground parking spaces, disabled facilities and on-site lunch restaurants. To obtain information for your selected Amsterdam Serviced Offices, please tick the "Add to basket" box for each office you prefer and complete the form below. We will then send a detailed report via email.